Fluff & Tuff Big Daddy Gator is an extra-large version of the very popular Georgia Gator and appeals to dogs of many sizes and playing styles. Slightly understuffed, his longer body style is perfect for playing tug-of-war, shaking, squeaking and finally after all of that play, he also makes a great pillow. 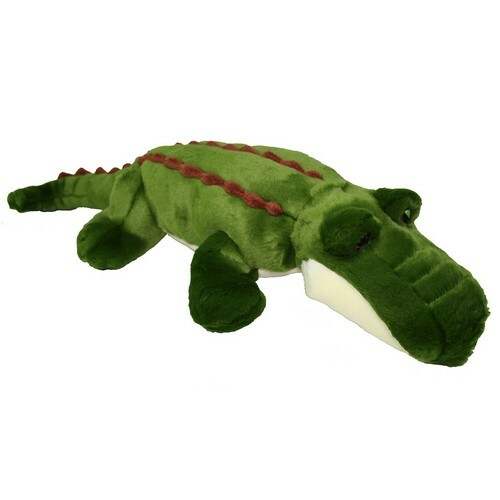 The Fluff & Tuff Big Daddy Gator has double-stitched reinforced seams, sewn eyes, durable mesh inner lining for the under amour and a non-toxic fibre stuffing for your dog's enjoyment.